While it’s still a question (not official yet) as to whether or not Venom, Black & Silver, and other Sony Spider-Man properties will join Tom Holland’s web-slinger in Marvel’s cinematic universe, Sony is moving forward full-steam ahead with their own cinematic universe (again). Last month brought the news that Tom Hardy will be playing Eddie Brock a.k.a. Venom in a spinoff for Sony, which will be directed by Gangster Squad helmer Ruben Fleischer. It’s unclear to this point as to how Venom’s story will work if it’s no longer tied to Spider-Man, but as news brought today, that doesn’t seem to worry Sony. I don’t know how much faith I have in Venom and what Sony is cooking up over there. They’ve made fantastic Spider-Man movies before, but the minute they decide jump on the cinematic universe train, everything goes down in flames. I’m all for seeing all these characters on the big screen, but it takes time. I have no doubt Tom Hardy can be a total badass as Venom, but what about the bigger picture? Where does it go? Especially without their main draw in Spider-Man? 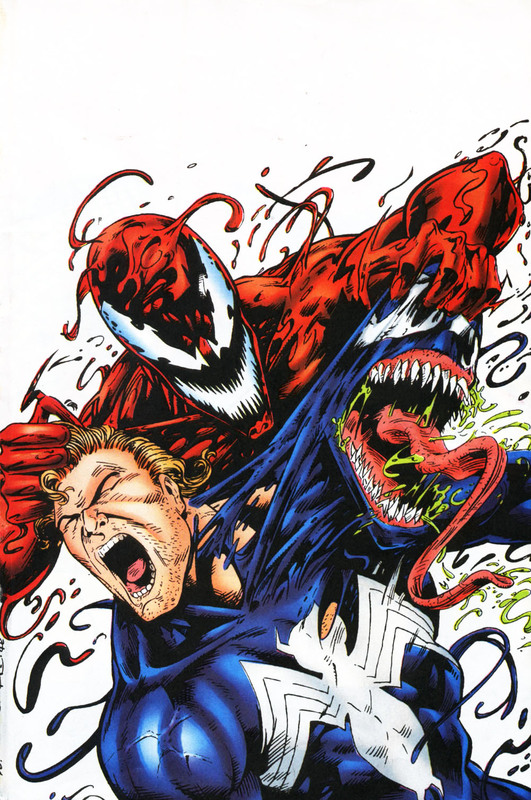 A Venom vs Carnage fight sounds absolutely amazing, but that isn’t everything. Hopefully third time’s a charm, right? Venom hit theaters on October 5th, 2018.